I just wanted to wish all of you a Merry Christmas! I hope you have a wonderful time celebrating with your friends and families this holiday season! We love watching that movie EVERY YEAR--have a wonderful holiday season! It sounds like you have a great night planned! Tomorrow night I'll be visiting my dad for dinner, then when we get home I have to wrap presents for the kids and make two dozen muffins (one dozen blueberry, one dozen apple cinnamon) for Christmas Day. Merry Christmas! 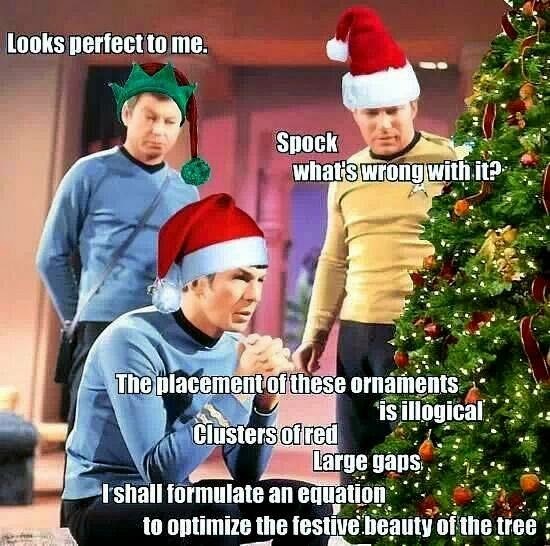 And Merry Trek-mas, of course!